The ParaPy language aims at making Knowledge Based Engineering accessible to both industry and academia. 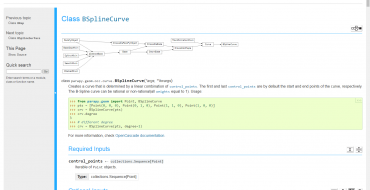 Our high-level, declarative modelling language allows you to quickly build parametric, rule-based models with only few lines of code. Background algorithms track dependencies, cache results and lazily evaluate only what is needed, assuring the performance and consistency of your model. Developers with only basic-level knowledge of the Python programming, should immediately feel comfortable with ParaPy and be able to get started quickly. Automated geometry modelling is straightforward with our geometry toolbox. Over 150 classes provide access to all prominent curve, surface and solid modelling operations that you’ll find in widespread CAD systems. Use ParaPy to build an intelligent product model once and consistently (re-)generate 3D geometry, thereby eliminating manual re-work. When the inputs to the model change, so does the geometry. Automate meshing of complex surface and volume geometries with our meshing toolbox. Specify rules to control the treatment of various parts of the geometry and prescribe acceptable quality criteria such as minimum edge length, maximum area or growth rate. Assign your rules globally to the geometry and flexibly override them on sub-shape level. 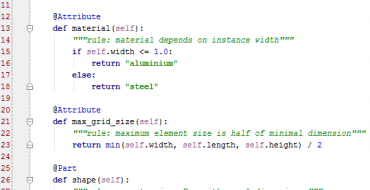 The mesh is associated to the underlying geometry making it easy to filter for elements of interest and demand properties like element id or spatial coordinates. 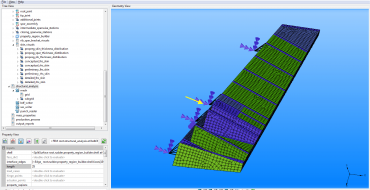 The meshing toolbox is an essential capability to consistently create high-quality grids for CAE software. 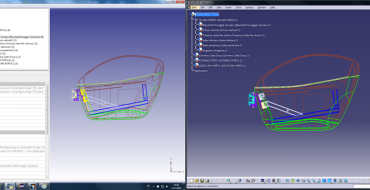 We provide a fast growing set of toolboxes to simplify the integration of CAE software. Use our FEM packages to model diverse aspects like boundary conditions, loads and material properties. 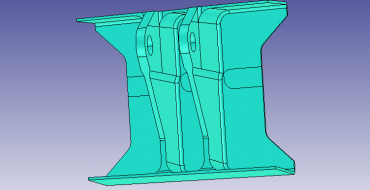 Automatically generate input files for structural solvers like MSC NASTRAN and extract results. Use our CFD packages to model things like wakes, flow properties or inlet conditions. 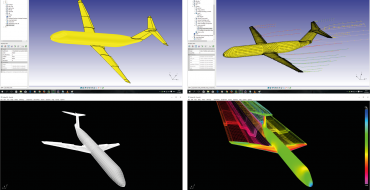 Generate rich input files for aerodynamic solvers like VSAERO, ANSYS Fluent and SU2 and read back results. If your target platform isn’t listed or is proprietary, no worries, our source codes have been written with extensibility in mind. ParaPy models can be serialized to disk. This allows users to make a snapshot of a model, maintaining all of its dependencies, for later use or as exchange mechanism between various applications. Geometry in ParaPy can be imported from and exported to IGES, STEP, STL, VRML, BREP, and X3DOM. Meshes can be exchanged in UNV, STL, DAT, and CGNS formats. Next to static exchange of data, try our RESTful HTTP services for live interrogation of ParaPy application models over the web. Being built on top of Python, ParaPy applications are easily deployed as stand-alone executables. If you prefer a service-oriented architecture, use our RESTful HTTP server to deploy your application as a web service and expose a powerful API to other users. Use our documentation generators to automatically build beautiful APIs from source code. Just follow well-known Python standards for documentation and let ParaPy generate complete, filterable pages that distinguish between attributes types and methods.